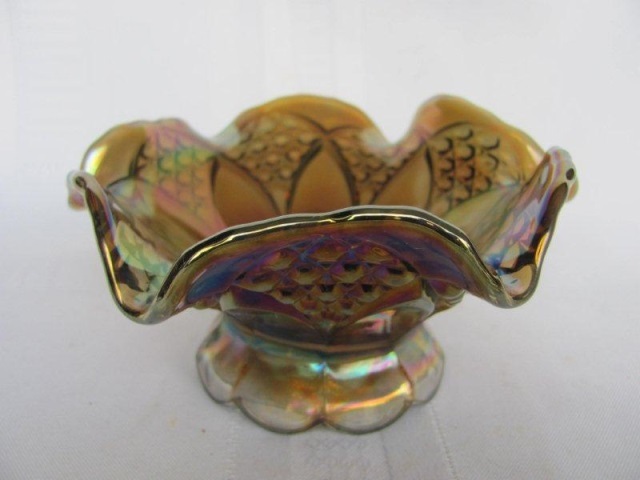 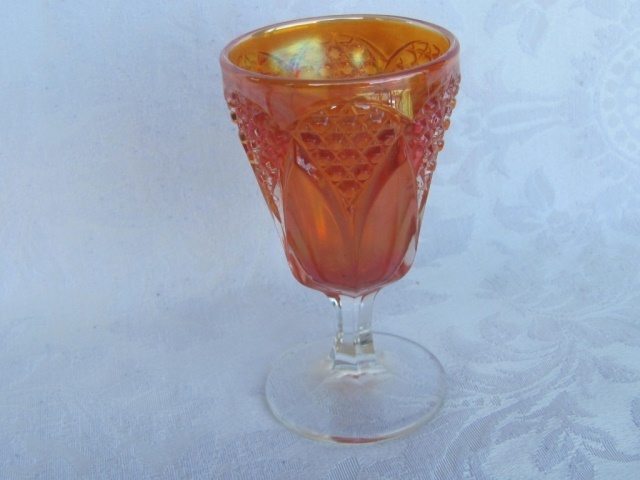 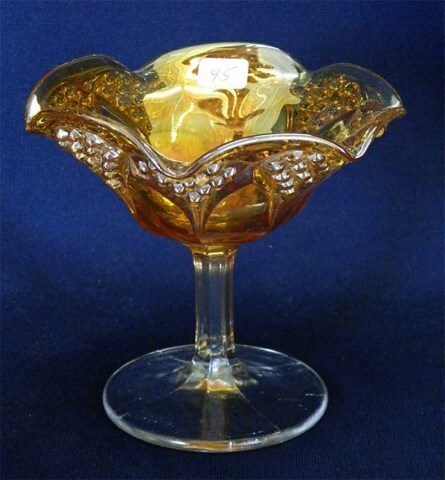 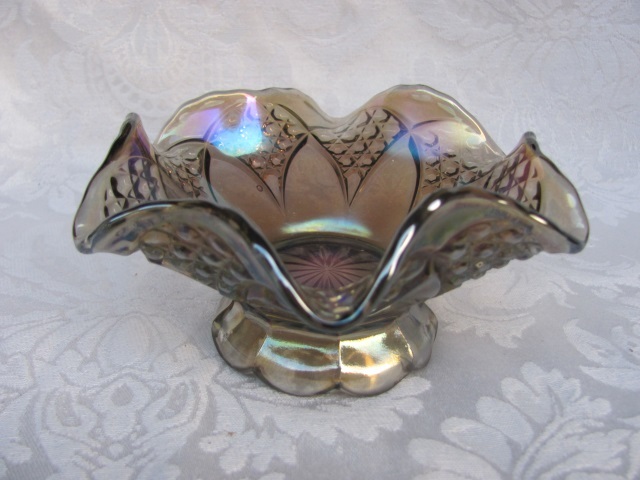 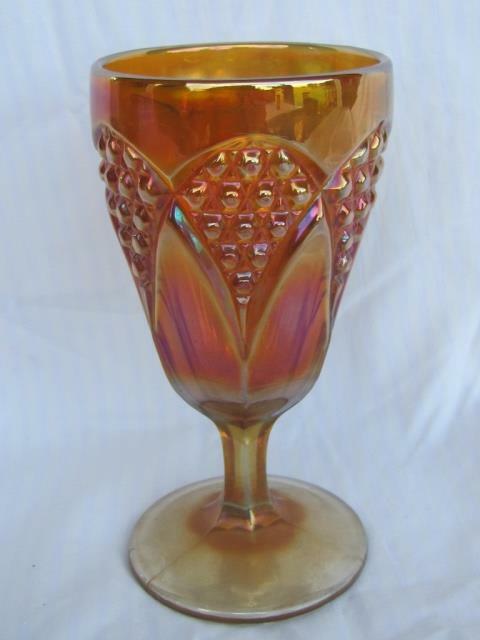 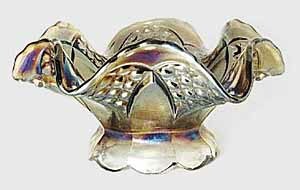 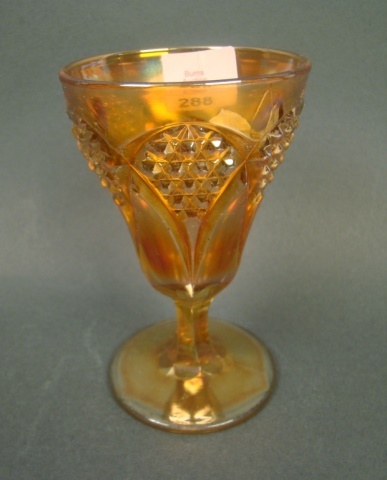 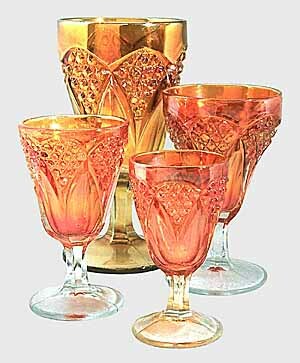 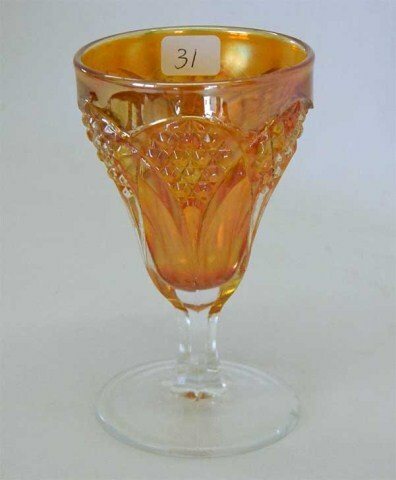 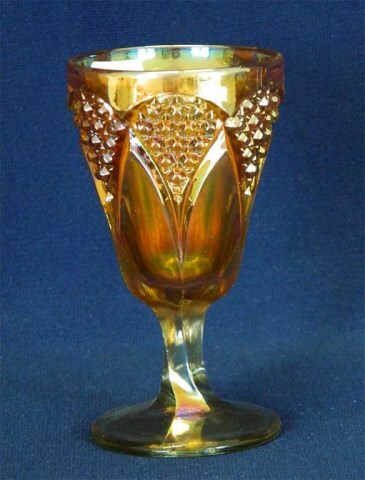 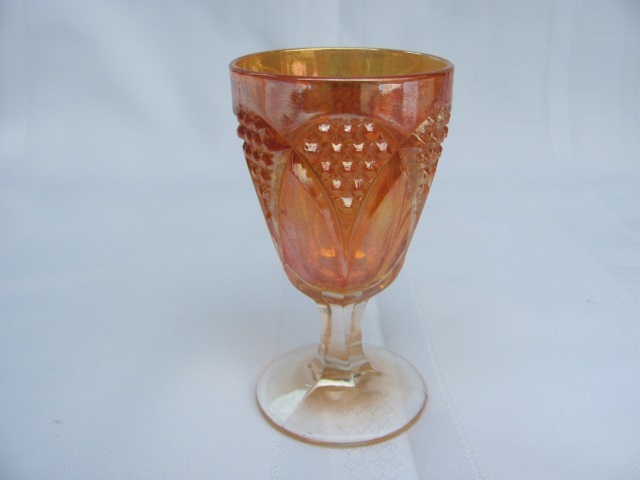 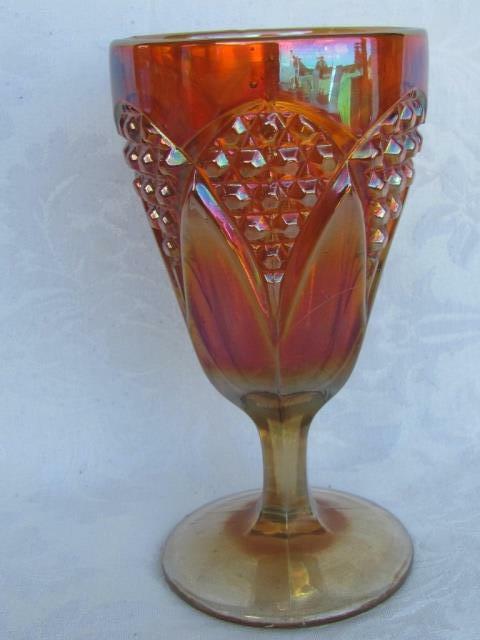 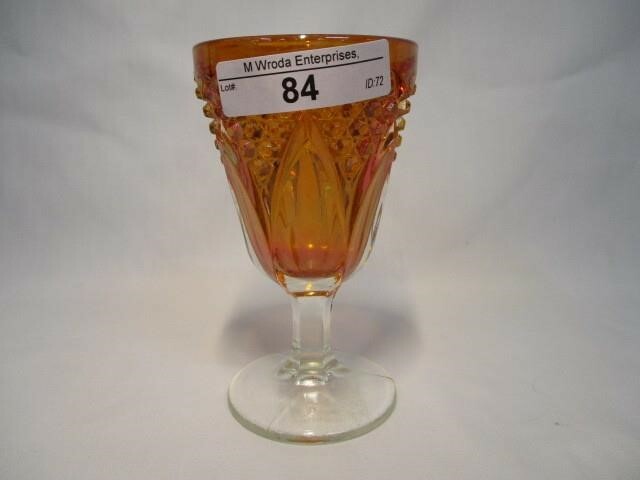 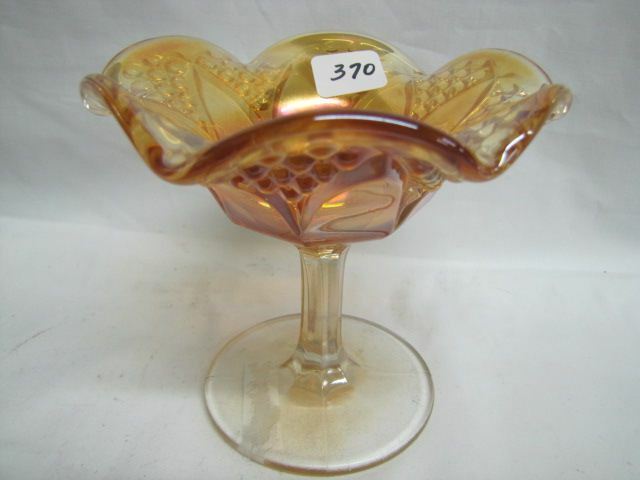 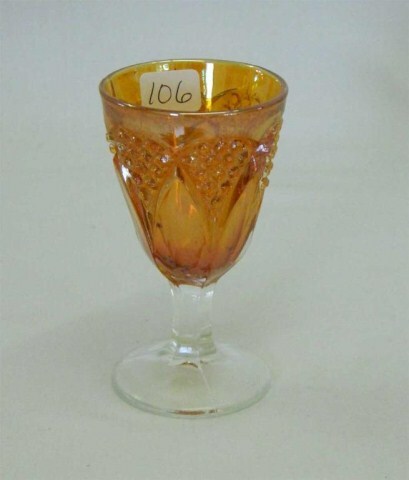 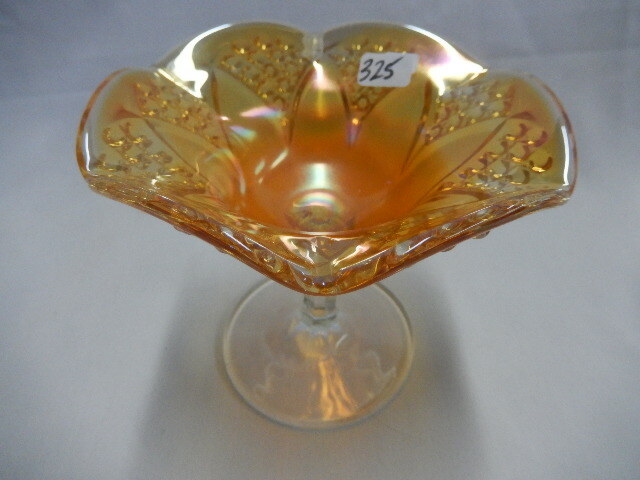 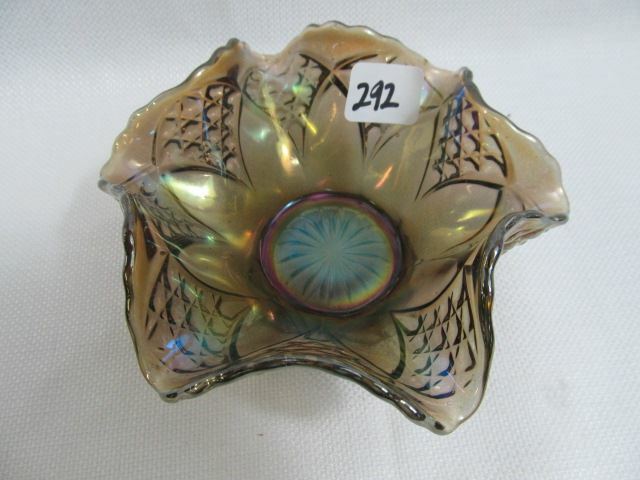 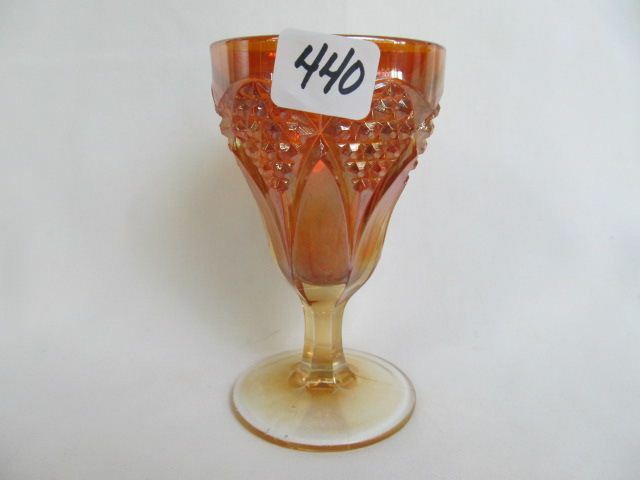 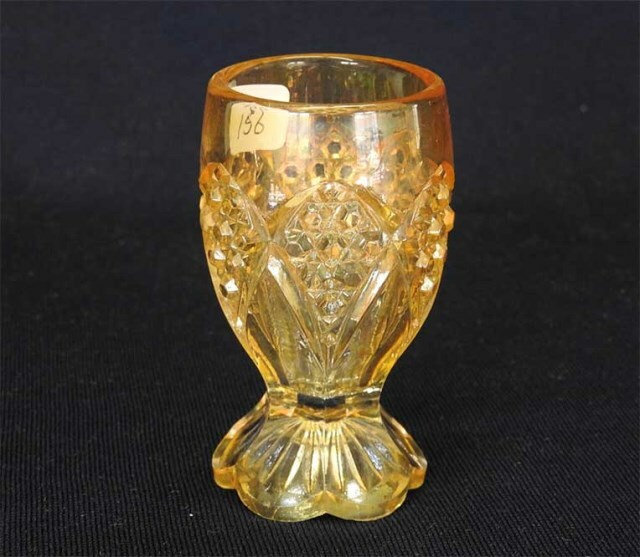 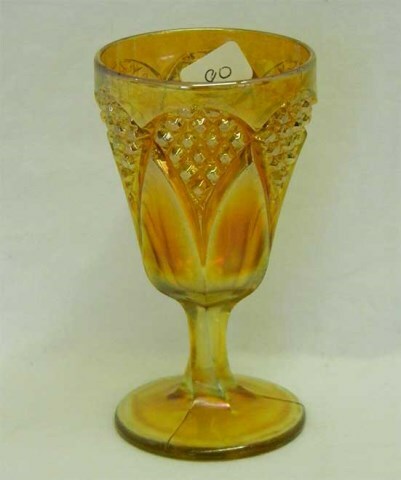 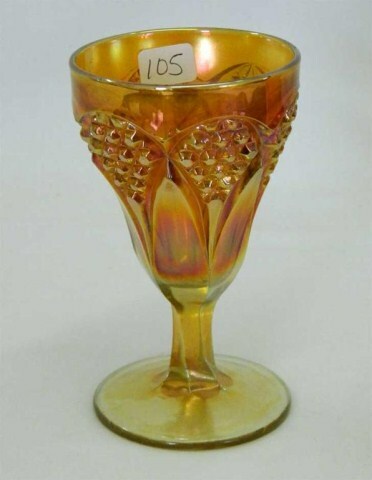 The Tulip and Cane pattern is found only in four sizes of glasses, a sauce, and a ruffled compote–although Imperial produced the pattern in other shapes in crystal. 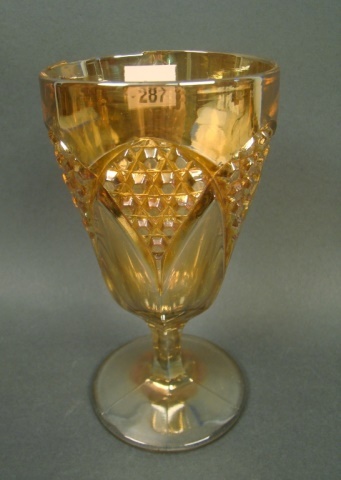 At the left are a water goblet (largest), claret (next largest), wine glass, and cordial (smallest). 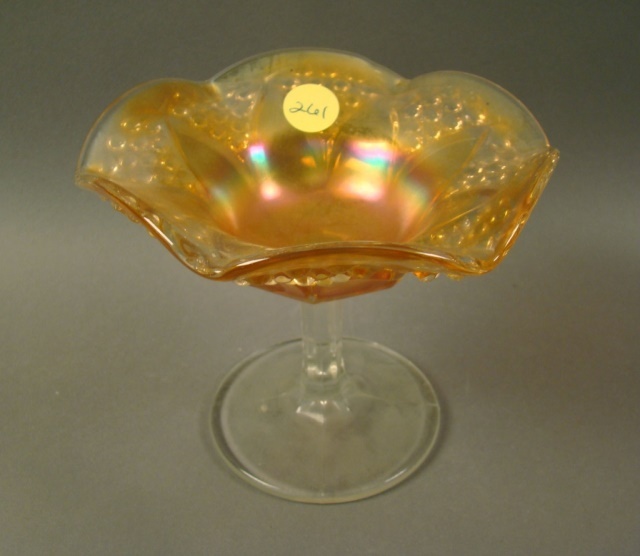 In 2011, Bill Stoetzel sent me this photo of his Tulip and Cane nappy. 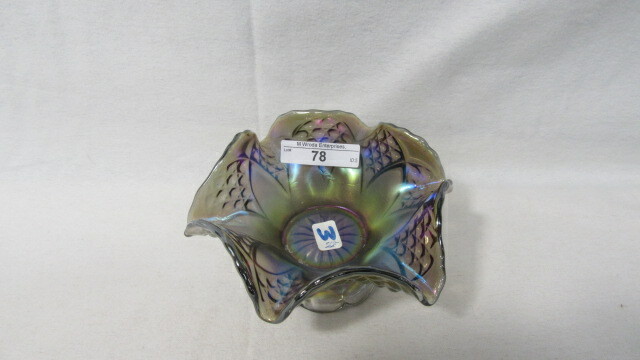 I'd not been aware that such a shape existed, but sure enough, here one is. 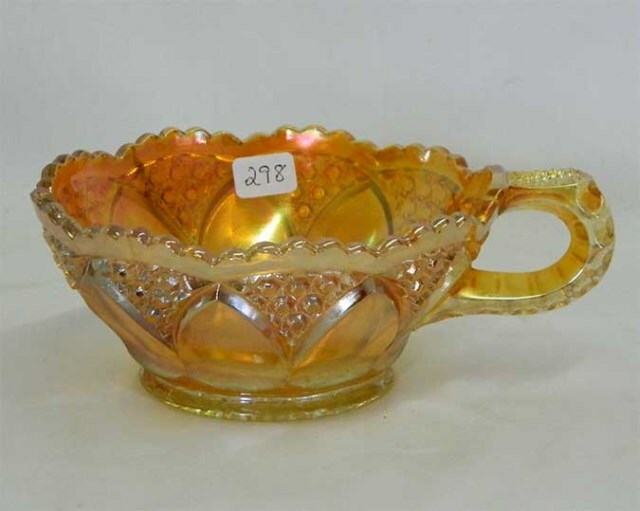 One listed as this pattern in marigold sold in 2013 for $55.